If you need to control, fix or simply access another computer from a Mac, we’ve taken a look at the very best remote desktop software for Mac in 2019. Taking control or accessing another PC or Mac computer remotely is known as Virtual Network Computing (VNC). It can be useful in a variety of situations such as screen sharing, working from home, fixing a computer remotely, gaming or administering a network of computers. It used to be possible to connect to another Mac easily via the free Back To My Mac feature on Macs but unfortunately Apple decided to kill it off when it released Mojave. The good news however is that there are still plenty of excellent remote desktop tools for Macs that allow you to connect to other computers easily. Most of the remote desktop software featured here are also suitable for connecting from Mac to Mac as well as Mac to PC or from Mac to mobile devices and most are also compatible with other versions of macOS including Yosemite, El Capitan, Sierra, High Sierra and Mojave. Remote Desktop applications are also a good alternative to using a VPN on your Mac if you just want to establish a secure connection with another computer. Note that if you just want to use a Windows application remotely, you’re far better off running Windows on your Mac via a tool like Parallels than using a remote desktop app. If you’re in a hurry, you can see our top 3 picks compared side by side below but there are many more reviewed here. Here then are our picks of the best remote desktop tools for Mac in order of ranking. TeamViewer is easily one of the easiest to use remote desktop tool for Mac users making it simple enough for anyone to connect to another PC or Mac but it also has powerful professional features for enterprise users. For a limited period, TeamViewer is also 30% off the normal price. All you need to do is install the TeamViewer client on both machines, enter the ID of the computer you want to connect to and that’s it. There’s very little configuration of ports or firewalls as everything is handled automatically by the setup wizard. Teamviewer is particularly popular with gamers who want to game alongside friends and with technicians that need to perform maintenance on a remote computer. The free version of TeamViewer is one of the most popular desktop sharing tools out there for both Mac and PC providing many features that other clients charge for. Once installed, you simply ask the person you want to connect to for their Partner ID to establish a connection. Alternatively, you can give someone your partner ID and password to allow them to connect to you. TeamViewer can easily be used as an RDP client for Mac and is ideal for those that want to give remote technical help to friends or family or those that want to have more fun when gaming with friends. It can also be used as a tool to host online meetings instead of using Google Hangouts or Skype. Once connected you can share Presentations, Video Calls and make audio calls to other users. Teamviewer works on Windows, macOS, Linux, Android, and iOS and has some useful features such as wake-on-LAN to activate a Mac or computer in sleep mode and even put it back to sleep when you’ve done. You can transfer files, connect to mobile devices and copy and paste from one computer to another. TeamViewer is completely free to use for personal use although if you intend to use it for commercial gain – such as a remote PC or Mac repair business or in a business environment, there are modest pricing plans. Basic paid plans allow you to use one user profile on up to 3 devices, 1 session channel and a basic management console with the possibility to manage up to 200 unattended devices. There are Premium and Enterprise plans for businesses with advanced needs too. You can also get 75% off the Endpoint Protection plan which allows you to deploy anti-virus and anti-malware protection remotely on 5 computers. 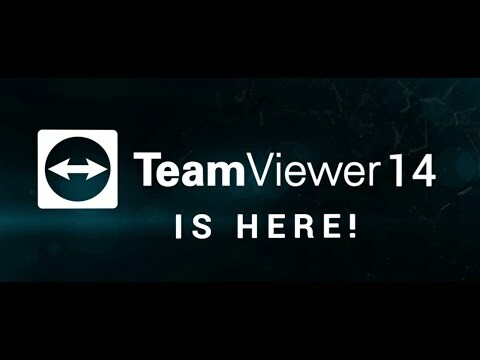 You can try TeamViewer for free to see for yourself. LogMeIn for Mac is a powerful remote desktop solution which caters for remote desktop needs of all kinds. LogMeIn Pro however offers specific tools for individuals, small businesses, IT professionals and help desk technicians and is the best on the market when it comes to enterprise remote desktop support. LogMeIn is one of the first ever remote desktop tools on the market and years of experience and refining have made it the best remote desktop app we’ve tried on macOS and Windows. One of the things we like most is that LogMeIn is extremely easy to use, connects to devices in seconds and has lots of useful extra touches like the ability to print from any device you’re connected to, support for multiple monitors and more. All LogMeIn plans include an unlimited number of users, 1TB of file storage to share and exchange files and a free license for password manager LastPass so you don’t have to keep entering passwords across your devices. LogMeIn does not compromise a firewall but is still able to share screens behind one while still using SSL/TLS or even RSA SecureID and 2-factor authentication. There is an also an excellent LogMeIn iOS app which make it very easy to log into your Mac or Windows PC from your iPad or iPhone. LogMeIn pricing starts at $30 per month for individuals which allows access for up to 2 computers, unlimited users, remote printing, 1TB file storage and more. There are also plans for Power Users and Small Businesses which allow access to up to 5 and 10 computers respectively. You can try a free trial of LogMeIn which last for 14 days. Note that LogMeIn should not be confused with a related product LogMeIn Hamachi which is designed for setting-up VPN networks. After years focusing on Windows, Developer Devolutions now has a Remote Desktop Manager which is a powerful remote desktop software for Mac that’s free for individual use but also has powerful features for Enterprise environments. Devolutions Remote Desktop Manager isn’t just a port of the Windows version – it’s been built specifically for Mac and the result is very good. Devolutions Remote Desktop Manager is a little bit like Royal TSX (see review later) and is definitely suitable for system admins and small businesses and has all you need to manage a network of computers. One of the handy things about it is that it’s integrated with other popular RDP clients such as Teamviewer, Microsoft Remote Desktop (see reviews for both later on) and even Telnet. The interface is also well designed allowing you to organize sessions by groups or folders and if you already use the Windows version, you can connect to the same databases with the Mac version so you can access all previous sessions. 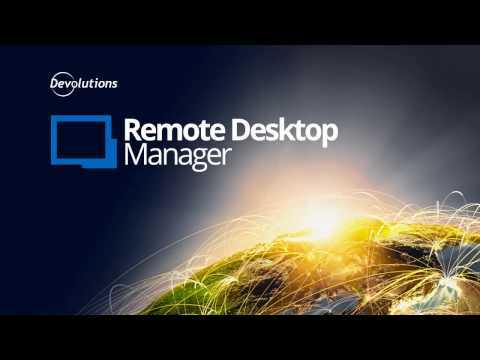 Devolutions Remote Desktop Manager isn’t quite as RDP novice friendly as applications such as Splashtop and Teamviewer but for those with just a little Remote Desktop experience, it offers a lot of Remote Desktop power for free. You can use Devolutions Remote Desktop for free but there are limitations compared to the Enterprise version. see a comparison of the Free edition with the Enterprise version here. You can also sign-up for a free 30 day trial. Screens for Mac remote desktop is an extremely user-friendly, slick and straight forward screen sharing tool for Macs and iOS devices. Screens allows you to connect to other Macs, PCs, Linux machines and even Blackberry Pis. Screens makes things easy thanks to ScreensConnect – a free open source remote desktop client for Mac setup service which means you don’t have to configure routers, firewalls or anything else. Note however if you’re behind a corporate network or firewall, ScreensConnect won’t work. There’s also Screens Express which provides an easy way to share your screen and vice versa with friends and family via a temporary link. What we like about Screens is that it automatically scans for iOS devices or Macs on the same WiFi or LAN network as you and all you have to do is click on it to connect and enter a passcode to start screen sharing. Once you’re connected, useful tools include a screenshot tool, copy and paste from Mac to Mac tool and manage multiple displays at one time. This means you can even view the screens on Macs with several monitors attached. Connecting to iOS is particularly well done as Screens makes your trackpad or mouse cursor fit perfectly well with touchscreens. Note that there’s no web access to Screens – i.e. you can’t connect to a device via your browser like some VNC clients. Because it’s based on the open source VNC protocol, unless you use ScreensConnect it’s also a bit tricky to setup as you need static IP from your internet service provider (most people have a dynamic IP address). For quickly connecting to friends and family screens, Screen Express is also extremely easy to use. Screens looks great on macOS, is easy to use and is very reasonably priced at $36.99 for a reliable and thoughtfully designed remote desktop client. You can also get 20% off if you buy direct from the developer with coupon code RIPBTMM. If you purchase the app this way, you’ll also get faster updates when they are rolled out. Jump Desktop is easily one of the slickest and easiest to use remote desktop solutions for Mac users. Remote networking can be a complicated affair but it’s clear the developer has gone to a lot of effort to make remote desktop connections easy enough for anyone to use without sacrificing features and stability. In fact, Jump Desktop is unique in using your Gmail account to automatically setup and configure a remote connection without any further effort on your part. Jump Desktop for Mac is multi platform supporting iPad, iPhone, iPod and even Android and can be used for connecting from Mac to Mac too. One of the smartest things about Jump Desktop is that it can map Mac keyboard shortcuts to make them work on Windows. You can also copy and paste between macOS and Windows and vice versa which is really helpful if you work on both Mac and Windows constantly. You can also connect to another computer via WiFi which we found was the fastest way to connect. Connections via WiFi are almost instant and there is virtually no lag. You can also connect to another computer using iPhone too but this we found a lot slower although if you turn the settings down and run in grayscale, it’s also remarkably fast to say you’re connecting via a mobile device. It’s easy to see how many computers or devices you are connected to as you get live previews of all ongoing connections and we also found it seems considerably lighter on your Mac battery power than many RDP for Mac software. Security is naturally a concern when sharing your screen and files with another computer but almost all remote desktop clients nowadays use Secure Socket Layer (SSL) as a minimum standard and some go beyond this. Jump Desktop is very secure and supports SSH connections and NLA for MSFT hosts. Even in full screen mode we found Jump Desktop fast and stable, allowing you to share files and manage remote machines with ease. The live previews make it excellent at managing several connections at once and we also like the fact that it’s regularly updated to handle the latest Windows releases (it was in fact one of the first Remote Desktop clients for Mac that officially supported connections to Windows 8). Overall, Jump Desktop is incredibly slick, user-friendly, reliable and feels like everything Microsoft Remote Desktop should have been. If you want to see what it can do for yourself, you can try a free trial of Jump Desktop (note that this only works on OS X 10.8+ although there’s also an older version of Jump Desktop 4.0 available for OS X 10.6 Snow Leopard and OS X 10.7 Lion). The full version of Jump Desktop is $29.99 from the Mac App Store which is a modest one-off price to pay without any other monthly fees for a first class VNC client with fast and efficient support from the developer. GoToMyPC is owned by LogMeIn (see review earlier), one of the biggest players in the remote desktop market. GoToMyPC is suitable for home users, small businesses and corporation as it sets up everything automatically even if you’re behind a corporate firewall or on Mac or PC. As a result, GoToMyPC is a particularly popular choice among companies and corporations that allow employees to work from home. One nice feature of GoToMyPC is that you can invite another user into a session temporarily which is useful if you need tech support to help fix a problem with your Mac or PC. GoToMyPC is a bit pricey compared to other options featured here but Citrix has over 10 years experience in remote desktop networking and both reliability and customer service is widely regarded as excellent. GoToMyPC also has an iOS app which allows you to easily connect to your Mac or PC from your iPhone or iPad. The cursor controls are well implemented in the iOS app and it’s one of the better remote access mobile apps out there for handling the difference between touch screen and desktop interfaces. If you connect to a PC, you can even hear the sound from your PC on your iOS device although unfortunately this doesn’t work for connecting to Mac. Other useful tools include the ability to cut and paste from Mac to Mac or Mac to PC, file transfers and multi-display support. GoToMyPC uses 128 bit AES encryption which is pretty standard for most remote desktop software but it also puts two more layers of protection with dual passwords and end-to-end authentication. This makes it very secure and is largely due to GoToMyPC’s popularity in the enterprise market. GoToMyPC costs $44 per month for individuals but If you’re a small business and need to up to 50 computers, you need to sign-up to the Pro Plan which costs $83 per 2 computers per month. You can currently get 20% off all plans for a limited period. For large enterprises and companies, you can connect to 1000+ users although pricing for this is on demand. There’s also a 7 day free trial of GoToMyPC so you can judge for yourself. Remotix is an extremely fast, slick and user-friendly remote desktop connection client for Mac. In fact, If you just need to share the screen of your iPad or iPhone with your Mac, then there are few better RDP clients around. There’s very little lag in connections made with Remotix to Windows either as it quickly optimizes itself for the speed of your internet connection. For those new to remote desktop connections, it guides you clearly through the setup process. You can store connection profiles via iCloud backup and even access printers from your remote Mac using Remotix. You can clearly see how many connections you’ve got open via the Multiple Computer Observer screen: Remotix is also one of the most secure RDP clients for Mac available with built-in SSH tunneling for both RDP and VNC. You can also set a master password to protect all of your connections rather than have to enter individual passwords for each one. If you’ve been having problems with Back to My Mac, or just want to connect to Macs, Remotix is definitely worth checking-out. Remotix costs $39.99 from the Mac App Store for personal use but there’s also a Professional License for $79.99 for small businesses and for large enterprises, a Site License for $799 and a Multisite License for $2399. You can download a 14 day free trial of Remotix. Royal TSX for Mac is focused firmly on system administrators or professionals with remote desktop needs that need a high level of security. Royal TSX is very well designed and makes it straightforward to manage connections in the left-hand sidebar with convenient tabs to control sessions. Royal TSX is very versatile supporting RDP, VNC, SSH based terminals or web-based interfaces. Security is a big selling part of Royal TSX for Mac as it uses using the highly secure 256 AES encryption standard. Other enhanced secure features include built-in credential management, safe team-sharing features and the ability to share a list of connections without sharing your personal credentials. Royal TSX is also one of the few RDP servers for Mac which supports PIV or CAC Smart Card Redirection. It’s also available for Windows, Android and there’s a free Royal TSX for iOS app so you can open Royal TSX documents on Windows and Mac. One unusual thing about Royal TSX for a Mac remote desktop software is that, like a browser, it can be enhanced with plugins. For example, there’s a TeamViewer plugin for Royal TSX which allows you remote control computers using TeamViewer. The FreeRDP Remote Desktop Plugin meanwhile allows you to connect to Windows Computers or to Hyper-V instance consoles using the Remote Desktop Protocol. Although Royal TSX for Mac is a highly sophisticated and technical RDP software for Mac, the basic version is actually free for use without any time limit although it is restricted to no more than 10 connections and credentials and you can only open one TSX document per application. There are various pricing plans for those that need more than this with the Startup Bundle very good value at $82 including Royal TS for Windows, Royal TSX for Mac and Royal Server which is the Royal TSX powerful server software. Alternatively, an individual user license for Mac costs $29 which gives you 5 licenses and for small businesses and large enterprises, there are site wide licenses ranging from $536 to $1731. You can try a free trial of Royal TSX for Mac to judge before you buy too. Royal TSX for Mac is definitely the Rolls Royce of remote desktop software and it’s incredibly powerful and versatile. If you’re a system administrator or IT professional, you can’t really get much better than Royal TSX. NoMachine is a slick Remote Desktop Client which tends to go under the radar when Mac users are looking for remote desktop software but is definitely worth a look. NoMachine looks great on macOS, is very easy to set up and use and there’s a free version for limited connections. The good thing about NoMachine is all you need to connect to another machine over the internet is its IP address and port number. It’s incredibly easy to use and setup with no manual configuration required. A setup wizard clearly takes you step-by-step through the connection process. Connections are stable and fast and there’s a NoMachine forum where you’ll get help with any problems you might have with the client. There’s also an extensive knowledge base for those with more technical needs but generally, you shouldn’t have many problems if you just need NoMachine for basic remote connections. NoMachine for Mac is free for personal use but there are paid Enterprise and Cloud editions available. There’s also a free NoMachine iOS app which is well designed, easy to use and allows you to connect to macOS, Windows and Linux. The Enterprise and Cloud versions of NoMachine are seriously powerful and easily on a level with Royal TSX and Apple Remote Desktop. Enterprise and Cloud versions of NoMachine use a subscription model and start at $794.50 for up to 10 subscriptions and unlimited connections. The NoMachine Cloud Server Premium Subscription costs $6994.50 and is suitable for large companies managing computer networks worldwide. Parallels Remote Application Server (formerly known as “2X RDP Client”) is a remote desktop server that can be used with the free Parallels Client from the Mac App Store. Parallels most popular product is Parallels Desktop (full review here) which in our experience, is by far the best tool to run Windows on your Mac. Parallels Remote Application Server is a sister product of Parallels Desktop designed for those that want to connect to Macs, PC and mobile devices remotely. Parallels Remote Application Server and Parallels Client are designed for the needs of businesses and works very well with all versions of Windows. Parallels Client was originally a hugely popular independent app called 2x for Mac which was a popular remote desktop client used by major corporate customers such as Airbus, McKesson and WD-40. As a result, it attracted the attention of Parallels which bought it in 2015. Parallels then changed the name to Parallels Client and sold it alongside Parallels Remote Application Server. Parallels Client can also be used with other RDP servers but the default and securest is the Parallels Remote Application Server. Parallels Client for Mac has a modern interface and is generally very fast and stable with secure SSL connections. One of the nice features of Parallels Client is that you can even play sound from other devices and machines you are connected to on your Mac and print remotely. You can switch between macOS and Windows simply by hitting CMD+Tab, cut and paste using Ctrl-C/Ctrl-V and there’s very little lag on connections. However, you can’t change default connections and you can’t duplicate a connection which is annoying if you work with multiple connections. There’s no way to import connections from Microsoft’s RDP client either but it does now support Retina Macs. However, for those that are looking for a fast and reliable away to connect to Windows machines in corporate environments, it’s a very robust client. Parallels Remote Application server costs $99 per year for a one year subscription which is very reasonable for an Enterprise remote desktop solution. The Parallels Client that goes with it is free from the Mac App Store. You can also try Parallels Remote Application Server for free. Chrome Remote Desktop is a Google plugin which works directly within the Google Chrome web browser. If you’re a Chrome user, it’s a very simple and free way to connect your Mac to another user. Simply install the Chrome Remote Desktop plugin and you can connect to any other user with Chrome installed on any type of computer or mobile device (including iOS). Once installed, Chrome Remote Desktop works pretty much in the same way as TeamViewer. Just enter the ID of the computer you want to connect to, and it will connect instantly. Since it’s only a browser plugin, it can be prone to a certain amount of instability and bugs and there’s no way to share sound between computers with it but as a cheap and cheerful VNC solution that requires no client to install, it’s very effective. Note that Google does not record any of your activity using Chrome Remote Desktop – it uses SSL and connections are directly from host to remote session with no Google interference in the middle. Splashtop is another user-friendly way to connect to another computer or device. There’s a free version for personal use and also Enterprise and Business plans. Splashtop is particularly good for gaming needs as it streams 3D graphics, sounds and video across local devices extremely well. For example, if you need to play a 3D game from your iPhone or iPad (Splashtop for iPad is also available for $4.99 from the Mac App Store), Splashtop enables you to play it on your Mac with almost no noticeable lag. The downside is that Splashtop is only really free for local use because for remote access features across the internet, you must purchase in-app upgrades. If you want to access another computer over the internet for example, you must pay for Access Anywhere which costs either $1.99 a month or $16.99 per year. It’s also a little tricky to set up compared to LogMeIn or Teamviewer but overall, it’s generally very reliable and effective at remote networking. You can download Splashtop for Mac here. No review of remote desktop software on Mac would be complete without a mention of Apple Remote Desktop which is Apple’s version of Microsoft RDP for Mac. With Apple’s decision to drop the free Back To My Mac tool from macOS, Apple Remote Desktop (ARD) is now the only remote desktop software that the company offers nowadays. It’s important to be aware that ARD is mainly aimed at system administrators and there are far easier remote desktop apps to use nowadays. Apple Remote Desktop is also only for connecting to other Macs and iOS devices and if you’re not experienced with remote networking or VNC clients, we don’t recommend it. As a professional tool for system administrators to manage Apple devices on a network however, it gives you a lot of power to install software and updates such as Flash and Java, push UNIX commands and update macOS remotely. Because of the explosion in more user-friendly remote desktop apps, ARD has become an increasingly unpopular remote desktop solution except among IT users. You may also find that despite it being an Apple product, ARD for Mac is also frustratingly slow at times compared to most of the other remote desktop software featured here. No review of remote desktop software on Mac would be complete without looking at Microsoft Remote Desktop Manager for Mac. Microsoft RDP for Mac is now called Microsoft Remote Desktop Connection Client for Mac (confusingly also known as RDC for Mac or Remote Desktop for Mac). Remote Desktop Connection Client for Mac is a Microsoft tool which allows you to connect your Mac to PC Windows machines and other devices. Microsoft RDP is used by applications such as Microsoft Azure to run Windows only applications and we showed how effective it is in our tutorial on How To Run Visio On Mac. Microsoft released the latest version of Remote Desktop 8.0 on 17th October 2013. It was the first update to the client in two years and previous to that, there was no official Microsoft RDP client on Lion or above. The last version, Remote Desktop Connection for Mac 2.1.1, (see below) only supported up to OS X 10.6 Snow Leopard and does not officially work with Lion or above although some users claimed they had limited success using it. With the release of Remote Desktop 8.0 however, Mac users finally have an official client for OS X Lion, Mountain Lion, Mavericks and Yosemite. The release of version 8.0 coincided at the same time that iTap for Mac (see review mentioned earlier) was discontinued and the similarities in the new 8.0 version confirmed that Microsoft bought HLW Software’s iTap client. The question is, have they improved it or ruined it? Remote Desktop 8.0 allows Mac users to access virtual desktops on Windows, Windows RT, Windows 8, iOS, OS X and Android. The Mac version also includes support for printing to Mac configured printers and support for multiple monitors/projectors for presentations. Version 8.0 is definitely an improvement over version 2.1.1 but yet still falls short of the Windows version. The connection speed is the most notable improvement on the last version and both full-screen and multi-monitor support were long overdue. The latest version also supports high quality audio and video streaming and connections feature greater NLA quality encryption. Microsoft also seems to be putting more effort into updating Remote Desktop on Mac too. More recently for example, it improved the app by allowing you to use Mac keyboard shortcuts for cut, copy and paste. There are some basic features missing from the Mac version however which many users will find frustrating. For starters, there’s no way to import connections from the old version of Microsoft RDP for Mac meaning you have to go through the time-consuming process of re-setting up all of your connections again. There’s also no way to manage or even see how many multiple connections you’ve got going on at one time. Also, simple features such as Font Smoothing, Wallpaper options and Full-Screen drag are missing. Unlike the Windows version too, the Mac version does not support more secure methods of login such as via smart cards, PIV and CAC cards etc. If you need PIV and CAC Smart Card redirection support, check out the Royal TSX client reviewed earlier. The Mac version also seems less helpful than the Windows version. For every new connection you make, you must preconfigure everything and add it to a connection list – you can’t simply just paste in an IP address and connect to another machine like the old version. It can also be quite unreliable at connecting – sometimes it simply times out, freezes or won’t connect and you feel like you’re never sure if you can trust it to work when you really need it. You can get Microsoft Remote Desktop for Mac 8.0 free from the Mac App Store. As you can see, there is a wide range of Remote Desktop Connection Managers for Mac although this list is by no means exhaustive. We’ve covered a combination of paid and free remote desktop apps for Mac software and many vendors such as Devolutions, TeamViewer and NoMachine also offer a free version if you just want to use it for personal use and connect to a few computers. For ease of use and simplicity for users at both end, we strongly recommend TeamViewer especially since you can get 30% off. If you need something that has specific tools for help desk support and the needs of small businesses, LogMeIn is the complete solution. Beyond the apps featured here, there are a few other more expensive high-end corporate Remote Desktop for Mac solutions that we haven’t mentioned such as Ericom Blaze for Mac designed for the needs of very large enterprises. Ericom is officially partnered with Microsoft, Oracle and IBM and pricing is only available by quotation. If you have any suggestions for other remote desktop software for Mac that should be included in this article, or have any experiences or questions with the Mac remote apps reviewed here, let us know in the comments below. There is an RDP client for Mac Mountain Lion called Ericom Blaze. Blaze is more than an RDP client, as it also compresses and accelerates RDP by up to 10 times, so it improves performance when accessing PDFs, PPTs, Flash movies and other graphics-intensive applications. Ericom Blaze works with any standard RDP host, including VDI, Terminal Servers and remote Windows PCs. Thanks for the suggestion Adam. I’ve added Ericom Blaze to the bottom of the post but we couldn’t install the free trial from the Ericom website due to a “damaged file” message in OS X. To fix the “damaged file” error, you have to adjust the Mac System Preferences – Security & Privacy setting to “Allow applications downloaded from: Anywhere”. Note to other users: Note that by doing this, you are disabling Gatekeeper in OS X which is designed to protect you from installing software made by developers not endorsed by Apple. Only select “allow applications download from anywhere” if you are comfortable with this. Very useful post, please keep it updated when you can! Hi Matt, Thanks – we’ll keep an eye on remote desktop software for Macs and update the post when there’s something new. This is due to the “GateKeeper.” Disable gatekeeper and you will be able to run the program! You should check out Royal TSX. It’s a full featured RDP connections manager that can also do VNC, SSH, Telnet and more. Hi Felix, Thanks for the tip. It looks like an interesting VNC for Mac client – I’ll take a closer look and maybe add it to the post. Do any of these RDPs allow dual monitors? Yes they do – it’s pretty standard with RDP for Mac clients nowadays. Microsoft Remote Desktop, CoRD and iTap definitely support dual monitors and I think the others do as well. You’re right Microsoft does say it’s not “intended” to work with Lion and above but in actual fact, Microsoft Remote Desktop Connection Client for Mac does work with both OS X 10.7 and OS X 10.8. The 2X Client only works with the 2X server, so it is not really a RDP client. I see your point although in the general sense that it allows remote desktop access, it is an RDP client. The 2X client allows both RDP and 2X Server connections, but defaults to 2X. Very good list of tools. You can also check on premise deployment of remote support appliances. Just Google “remote support appliances” and you will find a number of vendors. After trying almost all of these on my laptop I want to share that on a retina display everything looks blurry. Except for iTap. Not sure what sort of magic they do but fonts are significantly clearer on it. On a regular laptop (non-retina) or computer all of the mentioned applications work just fine, but try it on retina and you will see the difference. Thanks for sharing Nikolay. It’s true that some of these RDP for Mac clients still haven’t been updated for retina displays. However, Jump Desktop for example does support retina displays but you have to access View and then select Actual Size. This shrinks the desktop to 1:1 retina size. To expand this to full screen you need to CMD click on Jump Desktop and select Edit and in the Display section scroll down and select 2880×1880 and then connect. Thank you for this excellent list! One thing that frustrates me is the dock continually popping-up when I move my cursor down to the start bar to pull up a different app in a full-screen RDP session (currently using 2x). Do any of the apps have the ability to disable the dock, ideally in the OS X space where I have the RDP session open? Thanks! the next version of Royal TSX (http://www.royaltsx.com/main/home/osx.aspx) will have full screen functionality (including multi-monitor support) and will behave like you want it to (completely hiding the dock). I second that.. great software. Thanks for the update! The timing is suspicious considering Microsoft have released the new version Remote Desktop for Mac 8.0 today – and it does look a bit like iTap for Mac suggesting Microsoft has possibly bought it. I think you may have a critical typo in your article. You list Snow Leopard as 10.5.8 as the max requirement for MS Remote Desktop. I believe you mean 10.6.8. So indeed, it is a typo – it’s now changed to OS X 10.4.9 in the article. Thx for double checking. Yes, I was commenting about v2…..but now you have the sentence reading as “Snow Leopard 10.4.9” when you now are saying it should read “Tiger 10.4.9”. Oops. Unlike Microsoft Remote Desktop 8, other clients like CoRD, 2X Client for RDP and TSclientX support setting the “Client Hostname”. A Client Hostname allows the client to act like a Windows computer with that name. Otherwise some applications may default to some unwanted behaviour (HIS/RIS – PACS viewer integration with our setup, for example). FANTASTIC REVIEW !! Looking for a solution to use my new MacMini to connect to Windows 7 PC and QB and electronic medical records program. I’ve tried RDC (poor), then Microsoft desktop connection (good) and CoRD (good). So far, I think MDC is slightly faster, although I like the interface of CoRD better. I think tomorrow I’m give Jump a try, and maybe Ericom Blaze. Would like to hear of any other suggestions, or recommendations. Fabulous review, and thank you very much. you might want to take a look at Royal TSX. It offers a lot more features than any of the mentioned solutions, is free for small environments (up to 10 connections) and available on multiple platforms, including OS X, Windows, iOS and Android). Thanks Scott and glad it helped you in your search for a remote desktop connection for Mac tool. I think you’ll be impressed by Jump Desktop – it’s incredibly slick and the interface is excellent. You mentioned that Microsoft Remote Desktop for Mac 8 doesn’t support PIV or CAC. Do any of the other clients? I need PIV access to remote systems, and the formal recommendation is to use rdesktop, an X11 program that’s ugly to set up and ugly to use. Royal TSX does support Smart Card redirection. Bryan, I’m afraid there are no RDP clients on Mac that work with PIV or CAC. We strongly recommend that you install Windows via Bootcamp on OS X in order to access PIV or CAC on Mac. Like previously mentioned we added support for Smart Card redirection to Royal TSX a few months ago. Just an FYI. RoyalTSX crashes on Yosemite if you try to enable the SmartCard. Too bad nobody out there is interested in supporting these reliably–us CAC users would be all over this. Jack, Thanks for the update. It’s possible that this may be fixed shortly in a Beta release for Mac although the RoyalTSX beta page for Mac is still empty. Try contacting them to see if they are aware of the problem on Yosemite. we’re aware of the issue. Unfortunately, it’s a bug in the SmartCard libraries that Apple ships with OS X 10.10 Yosemite. Apple is aware of the bug too but there’s no ETA for a patch. Sorry for the rather bad news. Thanks for clarifying the situation Felix. I am currently trialing a free copy of Royal TSX using a Mac Mini to connect to 2 different Windows servers one running server 2003 (running an old version of filemaker which we are upgrading over 6 months) and one running server 2012 (our recent replacement which will take over the filemaker once upgraded). We had been using Microsoft remote desktop on all other macs and PC’s needing access to these servers but found incompatibility between Mac OS versions and the different server OS’s. Back to Royal TSX on my Mac mini, I was wondering if any other users had trouble with copying and pasting text. I might select and copy from an email on the 2012 server and then go to the 2003 server and paste into filemaker but find the text isn’t on the cl;ip board. This seems to get progressively worse over the course of a day. This morning I had a prompt for an upgrade to TSX and went through the install. When I next launched TSX and connected to my connections I had the following warning – The plugin you’re trying to use is incompatible with the Royal TSX version you’re currently using! If you choose to continue you might encounter bugs and crashes. Are you sure you want to continue? yes or no? I assume the upgrade would have updated the plugin as well. I don’t get an option on how to fix. Anyway this is some feedback on the Royal TSX product so far. Ian, Thanks for the feedback. Felix at RoyalTSX will probably respond to you here shortly about these issues but if not, we’ll try to put you in touch with someone who can help. could you please contact us via http://support.royalapplications.com/? This is not the best place to discuss your issues. I have contacted via the website but have not heard anything back??? I answered your email on 2015-03-03 and I’ve just forwarded my reply to you again. Steve, Thanks for this. Great, easy tool for Mac to Mac sharing. We’ve taken a look at it and added it to the article. You should take a look at Remote Desktop Manager Mac Edition. There is even a Free Edition with a lot of features. Hi David, Thanks. We’ve taken a look at Remote Desktop Manager and it’s pretty impressive for a free Mac RDP client. We’ve added it to the article. Interesting article with some good tips for useful tools. Actually tried NoMachine (it’s available for Linux, Windows not just Mac) on my Mac from all of my devices (iPad, Win PC). Works a charm. 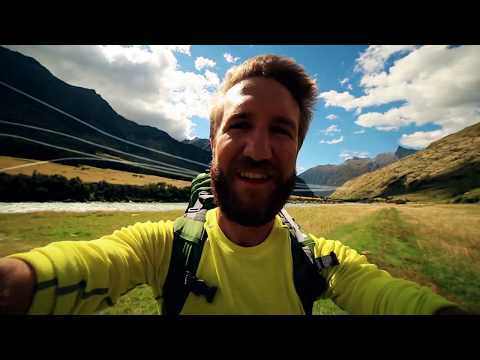 Glad it helped you find NoMachine Chris – it’s a great cross platform RDP client. We need to find a Mac RDP client that supports both microphone redirection and gateway access to a windows client. We are using Dragon Naturally Speaking on the Windows client. Can anyone recommend which RDP to try? the latest Royal TSX V3 beta does support both. In addition to above, you may try on premise R-HUB remote support servers http://www.rhubcom.com/v5/remote-Support.html for remotely accesing computers from anywhere.